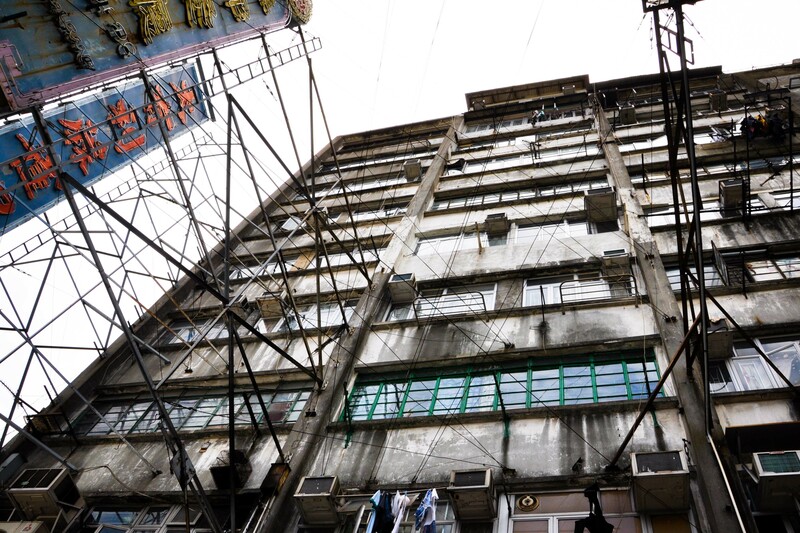 HONG KONG – This strange, yet wonderful, example of the West’s lasting influence on Hong Kong is considered by many to be an integral part of the city’s heritage. 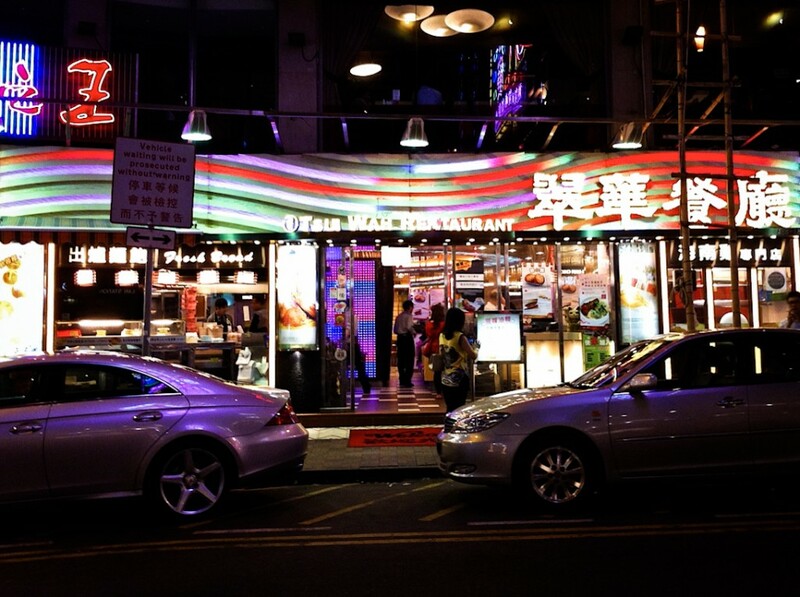 Known as the Cha Chaan Teng (CCT), these old-style eateries – which can be found on practically every street corner (or skyscraper as the case may be) – serve up a strange hybrid of Chinese and western style cuisine that, for the most part, has become uniquely Hong Kong. Ask any local what food best typifies the CCT and most will tell you breakfast which, in this case, consists of a hot HK-style milk tea (strong Chinese tea mixed with non-sweetened crème), or – if it’s summertime – an iced-lemon tea, eggs (scrambled or sunny side up) with a generously buttered bun on the side, and a bowl of instant (ramen) noodles in soup topped with slices of beef, or a bowl of macaroni (yes, pasta) in broth with bits of ham. Sound slightly familiar? 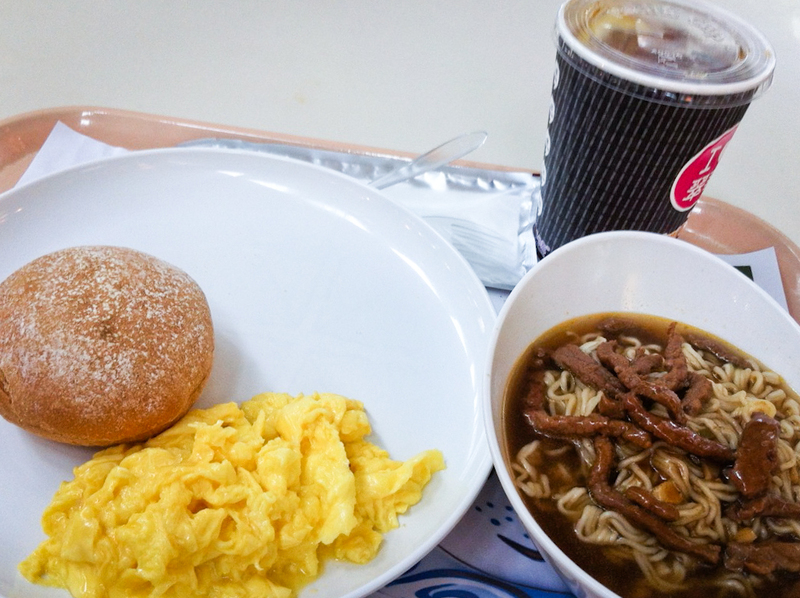 It should, because it probably started out as the typical western style breakfast that we all know and love but at some point got re-worked to suit the tastes of Hong Kong locals. If this breakfast of champions isn’t for you, CCTs also offer up a whole host of other western influenced dishes, including baked pork chops over rice, fish with sweet corn over rice, black pepper steak, and the very popular crispy pork chop bun (which is basically a grilled pork sandwich). Traditional noodle and rice dishes can also be had – the fish ball and vermicelli soup is a favorite amongst locals and their version of Hainanese chicken rice is often one of the best. Prices will run you a cheap US$3 for breakfast or a bowl of noodles, while an entrée (with soup/salad and a drink) will set you back no more than US$8. No, it’s not a place for foodies, but if you want to check out what Hong Kong locals consider comfort food then this is probably it. CCTs can be found throughout the city and some are even open 24 hours. One of the largest and most popular is Tsui Wah, which has over 10 branches in Hong Kong. What’s the little thing that makes Cha Chaan Teng worth a try? The milk tea/scrambled eggs/buttery bun breakfast combo and the crispy pork bun are always a must when I’m in Hong Kong.